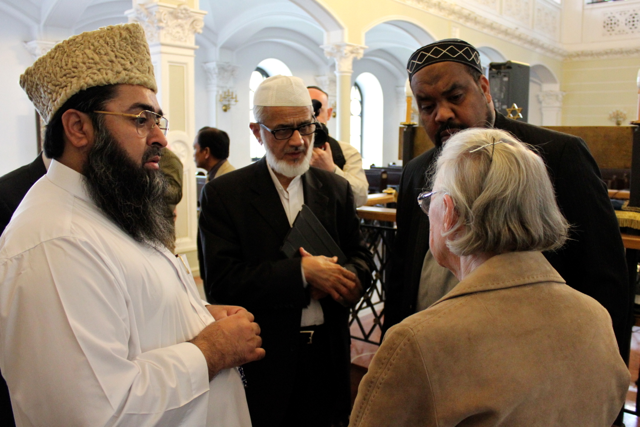 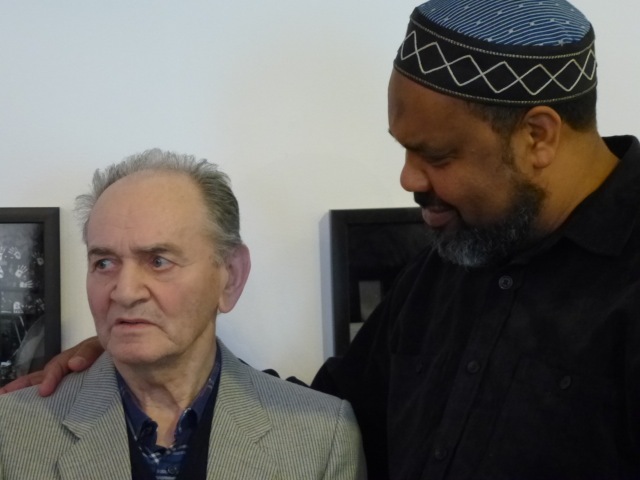 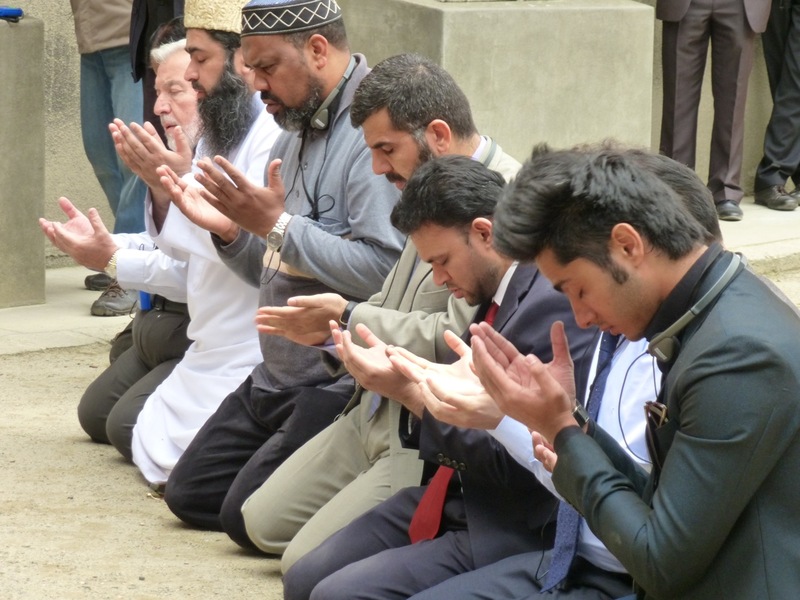 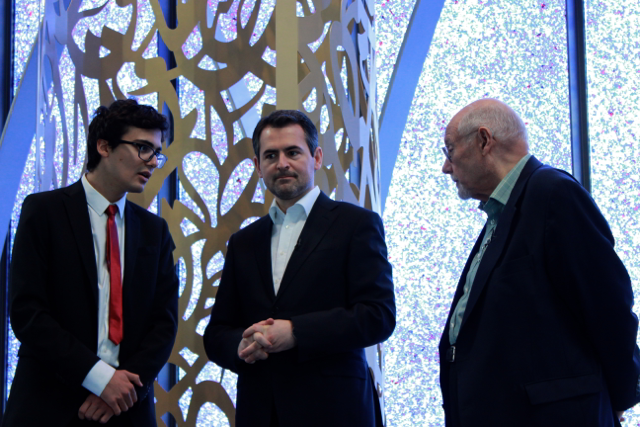 Rabbi Bemporad visiting the Munich mosque with the Muslim delegation. 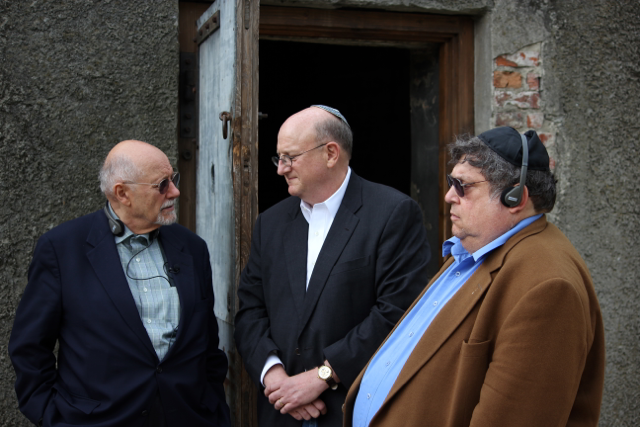 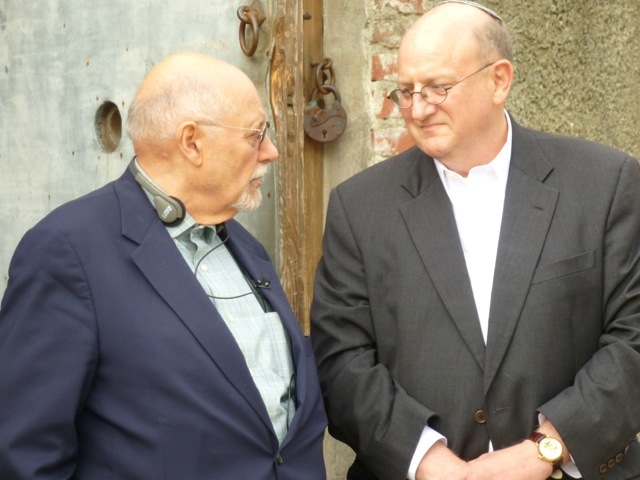 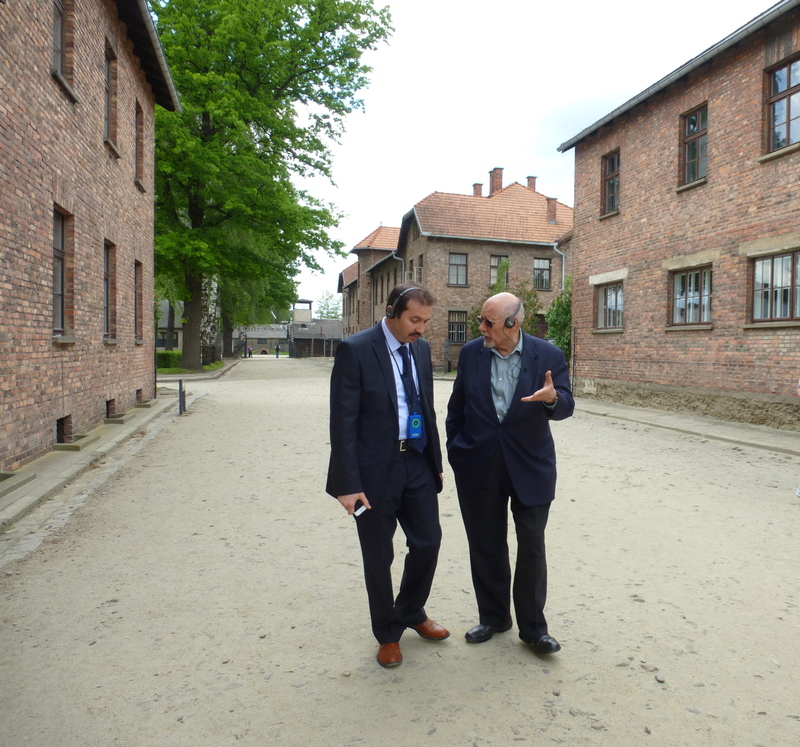 Rabbi Bemporad and Prof. Marshall Breger, who organized the trip, speaking with newly appointed Special Envoy to Combat Anti-Semitism, Ira Forman at Auschwitz. 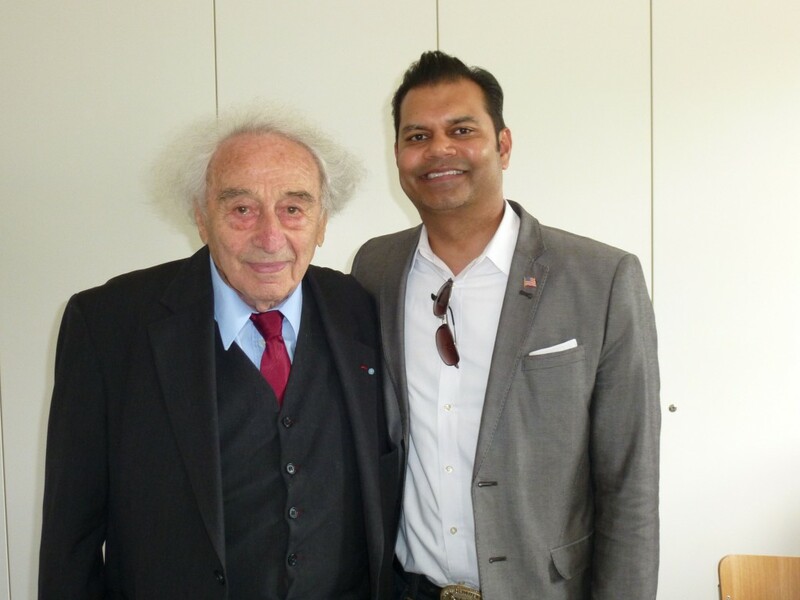 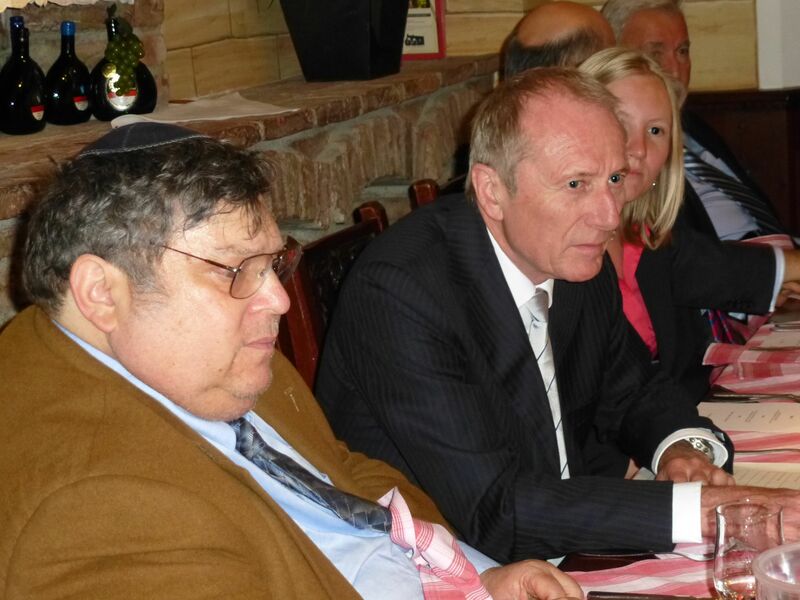 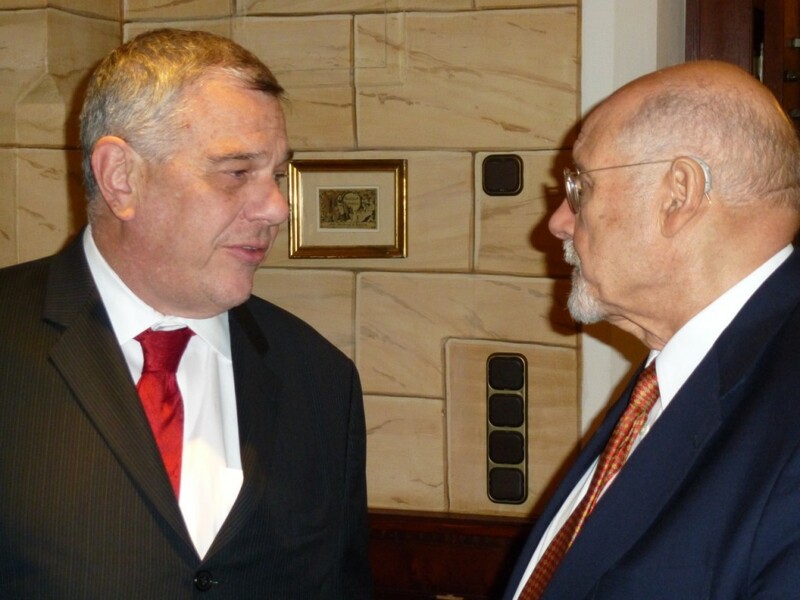 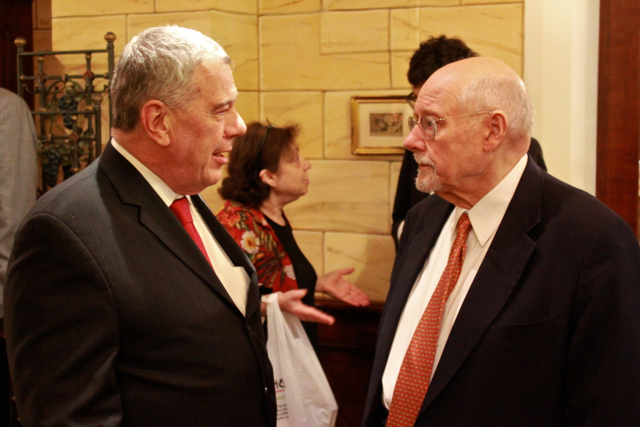 Rabbi Bemoporad and Ambassador Michael Kozak at a dinner hosted by the Mayor of Munich. 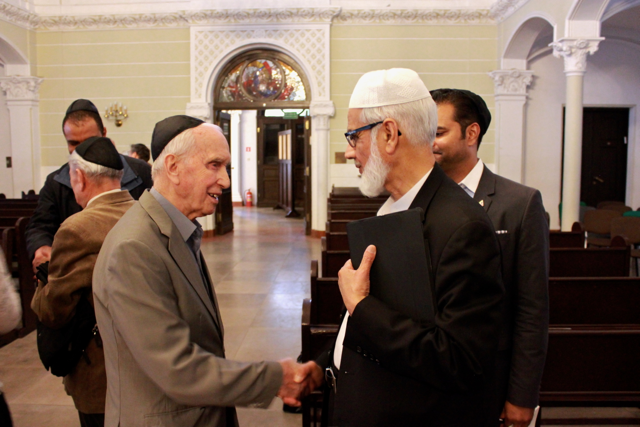 Meeting Righteous Among Nations at a Warsaw synagogue. 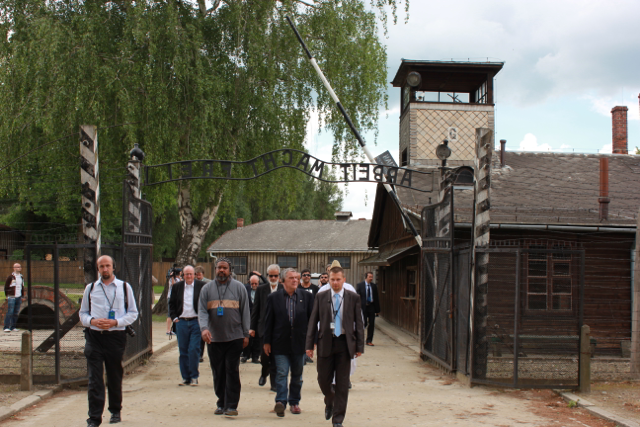 Walking through the iconic gates of Auschwitz. 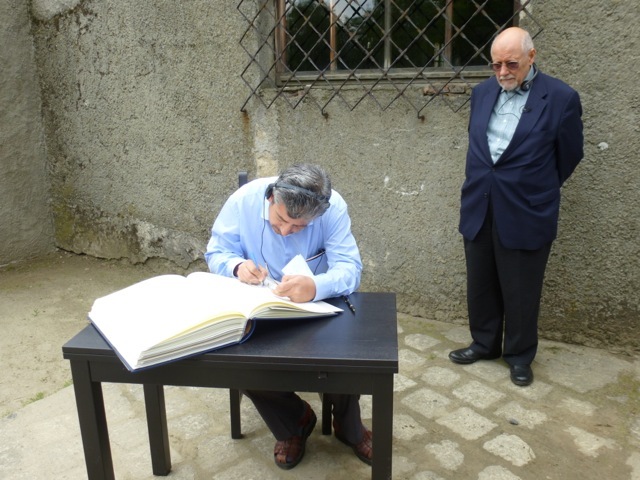 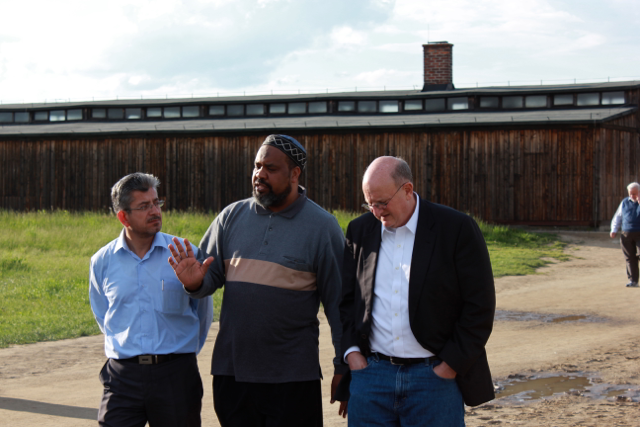 Imam Magid (US) and Dr. Hasan (Palestine) with Special Envoy Ira Forman at Birkenau Death Camp, also known as Auschwitz II.